Dann is an American author best known for his novels and published anthologies in science fiction and other speculative fiction genres. Memory Cathedral is his most notable, award winning, and best-selling novel. I asked KMW my friend and devoted fan of Science Fiction to provide this weeks Top Ten List. KMW has excellent taste; her list includes some of the most famous Science Fiction Authors of all time. I’m proud to say I’ve read novels from most of these authors. 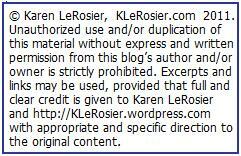 Several novels of KMW’s chosen authors have been turned into had popular movies and TV series. We were curious to see if the Kindle Book Store has these classic Authors, the youngest of the ten is 75 and still writing. Half of the authors are gone from this earth but Ray Bradbury will be 81 this month and published new material as recent as 2008. Jean Auel (1936-) is best known for her Earth Children Books which includes Clan of the Cave Bear books. Auel’s writing is usually categorized as Speculative Fiction, a broader umbrella term for fantastical writing that includes Science Fiction. The Kindle Store has six Earth Children series books available. Harlan Ellison (1934-) Is most known for his anthologies, Dangerous Visions, and Dangerous Visions Again. Ellison has more awards for imaginative literature than any other living author, including multiple Hugos, Nebulas and Edgars.The Kindle store has an extensive collection of Ellison books available. Brian Aldiss (1925-) is another award winning author I am totally unfamilar with. His works include Hothouse, The Saliva Tree and Helliconia Spring.The Kindle Store does not have any of his books and even Amazon only sells one paperback written by Aldiss, Starship. H. G. Wells (1866-1946) is most known for movies that have been been made, and remade, from four of his novels, The Time Machine, The Island of Dr. Moreau, and The Invisible Man. All four of the above movies are available in the Kindle Store as well as others, many for free. Rod Serling (1924-1975) wrote the Tales From The Twilight Zone series of novels and Night Gallerybut is better known to the general public as the host of The Twilight Zone the series created from his books.The Kindle store has a large selection of Serling’s books. Piers Anthony (1934- ) A very prolific writer of several series, Anthony is most famous for his long, long running Xanth series with 34 novels–35 & 36 are in production. He’s known for his long personal author’s notes at the end of each book as well.The Kindle Store has a nearly complete if not complete selection of his books available. Link to Amazon Bio. Ray Bradbury (1920-2012) is famous for The Martian Chronicles and Fahrenheit 451 and The Illustrated Man a celebrated 20th century writer of Speculative Fiction an umbrella term for fantastical writing. Bradbury has written Dystopia, Horror, Fantasy, Science Fiction, and Mystery.The Kindle Store only had only two short stories I am unfamiliar with. He’s had books republished this year and it seems strange that this speculative fiction author has not embraced new technology. Arthur C. Clark (1917-2008) Most known for 2001: A Space Odyssey. 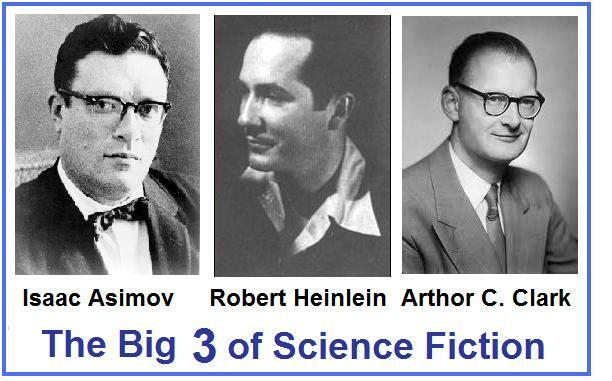 KMW’s top three picks, Clark, Heinlein, & Azimov together were known as The Big Three of Science Fiction.Strangely 2001:Space Odyssey is NOT available in The Kindle Store but some of his other novels and short stories are. Robert Heinlein (1907-1988) Strange in A Strange Land and Time Enough to Loveare perhaps his most famous books. He was known as “The Dean of Science Fiction” and was perhaps the most influential and definitely the most controversial author of Sci-Fi.Stranger in a Strange Land, Time Enough for Love, and pages of other Heinlein books are available in the Kindle Store.